Matthew Maley, Psy.D., completed his graduate training in clinical psychology with a focus on children and adolescents at Xavier University in Cincinnati, Ohio. His pre-doctoral internship was completed at Child and Adolescent Behavioral Health in Canton, Ohio. The training included individual/family therapy and group therapy with children, adolescents, and their families, as well as diagnostic assessments. Dr. Maley worked as a practicum student at Child Focus, Inc. between 2016 and 2017, and returned as a post-doctoral fellow in August 2018. He is currently working towards obtaining licensure as a clinical psychologist, and is being supervised by Dr. Akemi Brewer. He provides individual/family therapy, psychological testing, and crisis intervention. Dr. Maley has experiences working with different populations (from children to adults) and settings (e.g., community mental health centers, university counseling center, and inpatient psychiatric units). Although Dr. Maley uses integrated treatments to fit each client, his theoretical orientation tends to aligned with Cognitive Behavioral therapy or third-wave behavioral therapies (primarily Dialectical Behavior Therapy). Megan Martin MS, LPC, is an Early Childhood Therapist with the Mental Health in Early Childhood team at Child Focus, Inc. She graduated from the University of Kentucky in 2008 with a Bachelor of Science degree in Psychology and Northern Kentucky University in 2014 with a Master of Science degree in Clinical Mental Health Counseling. She is a Licensed Professional Counselor in the state of Ohio. Megan has worked with nonprofit agencies for most of her professional career and has experience ranging from working with children and families to adolescents and adults in a variety of different areas. Her internship familiarized her with school-based and outpatient mental health services, addictions and recovery, the diagnosis and treatment of severe mental illnesses, and the provision of individual and group therapy. Megan joined the Child Focus team in October 2014 and is excited for the opportunity to work with the early childhood population, alongside families and teachers, in helping to shape and nurture the emotional and social development of children. Erica McDonnell, M.Ed. L PCC, completed a Masters in Community Counseling at Xavier University in Cincinnati in 1997 and went on to earn a Certificate of Advanced Graduate Study from the University of Cincinnati. She tailored her graduate work to focus on her desire to concentrate on working with adolescents. 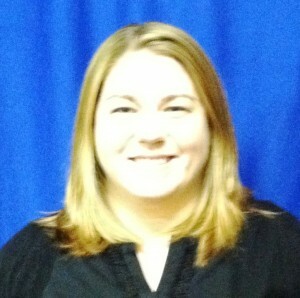 Ms. McDonnell is a Licensed Professional Clinical Counselor since 2005. Ms. McDonnell worked Mercy Hospital’s Adolescent Partial Hospitalization Center where she conducted group, individual, and family sessions with patients who typically participated in this step-down program for two weeks. She was later employed at the Mercy Hospital’s Children’s Inpatient Behavioral Health Unit where she worked primarily with teenagers who displayed acute psychological problems. Ms. McDonnell has worked at Child Focus, Inc. since 2003. She conducts Individual/ Family sessions exclusively with adolescents and their families. Ms. McDonnell has concentrated her continuing education on the issues and disorders of teenagers. Sadie Meiners, BSW, LSW, is the Coordinator for Out of Home Care Services at Child Focus, Inc. and is a member of the organization’s leadership team. Ms. Meiners completed her undergraduate work at Northern Kentucky University and is a Licensed Social Worker in the State of Ohio. Ms. Meiners specializes in direct practice work with children, adolescents, parents, and families. Ms. Meiners is a State of Ohio Adoption Assessor, professionally credentialed to prepare individuals, couples, and families for foster care and adoption certification and to conduct Ohio Foster Care and Adoption Home studies. Other areas of professional expertise include parent coaching, counseling, foster care training, certification and consulting. Ms. Meiners is a certified instructor for Stewards of Children Child Sexual Abuse Prevention Program and the Nurturing Parenting Program. Ms. Meiners has more than 7 years’ experience working with children, adolescents, and families in the behavioral health and medical social work field. Samantha Mickler, MSW, LSW, completed her Master of Social Work in 2017 from Northern Kentucky University. Ms. Mickler is a Licensed Social Worker through the State of Ohio Counselor, Social Worker, and Marriage and Family Therapist Board. Throughout graduate school, Ms. Mickler focused her education on trauma informed care with youth. Ms. Mickler has worked, interned, and volunteered at a variety of facilities serving youth and their families including; Brighton Center, ProKids, and Lighthouse Youth Crisis Center. In 2016, Ms. Mickler interned at the Child Focus Wasserman Youth and Adolescent Center (WYAC) Partial Hospitalization/Day Treatment Program. Within the WYAC program Ms. Mickler worked with clients ages 7-17 who have severe mental health issues that prevents them from functioning in a typical school setting. Ms. Mickler facilitated groups at WYAC focusing on social skills, anger and stress management, coping skills, impulse control, and emotional regulation, along with providing individual and family therapy. Ms. Mickler is now employed through Child Focus Inc., working at Mariemont Junior High with 7th and 8th graders providing individual and family school-based therapy services. Ms. Mickler continues working in the community to improve the quality of life for youth and their families. Sabrina Mignerey, MA, LPC, is a graduate of Cincinnati Christian University with a Master of Arts in counseling (Chi Sigma Iota). She is a Licensed Professional Counselor. Sabrina is currently a Mobile Crisis Responder, and works collaboratively with First Responders. Sabrina also specializes in equine assisted Mental Health along with traditional office-based counseling, with competency in a broad range of issues. Sabrina is training towards specializing in trauma, and is in the midst of becoming trained in EMDR. Sabrina is also enrolled in the post Masters certificate through Prescott College in adventure based therapy and equine-assisted mental health therapies. Sabrina has experience in therapeutic horsemanship serving a wide range of people. Sabrina welcomes clients of all backgrounds into the collaborative therapeutic relationship, and will walk alongside her clients for healing and change. In her spare time she likes to spend all the time she can outdoors including kayaking, hiking, backpacking and spending time with her horse Ranger. Nicolle Moore, MS, IMFT, is Coordinator of Mental Health in Early Childhood Child Focus, Inc. She is responsible for a team of therapists and consultants working in Adams, Brown, Clermont, Hamilton, and Highland counties. In addition she works as a Master trainer for Southwest Ohio which is funded by the state as part of the Whole Child Matters Grant. She is responsible for consultation with all types of early learning programs and she provides training for early learning professionals and parents in social/emotional development, challenging behaviors, early approaches to learning, and trauma informed care. Ms. Moore has been working at Child Focus since 2008 and has over 15 years of experience working with a variety of at risk youth in many community settings. Ms. Moore earned her Bachelor’s degree from Miami University in 1999 and received her Master’s Degree in Marriage and Family from University of Kentucky in 2001. During her time at UK, she worked to revise a county-wide Parenting program called P.A.C.T. (Parents and Adolescents Can Talk) and interned in a Juvenile Sexual Offender program. Upon graduation, Mrs. Moore has had training and experience working in Residential treatment, Partial Hospitalization programs, Outpatient settings, and began Early Childhood consultation work in 2006. Ms. Moore has had training in diagnosis and assessment of mental disorders, family therapy, play therapy, and treatment of victims of sexual abuse, domestic violence, and early childhood trauma. She has also been awarded the Early Childhood Mental Health credential in the State of Ohio, for her work with very young children and families. She has been involved in United Way projects such as Success by Six and serves on the Clermont County Crisis Response team. Mrs. Moore is always eager to help promote healthy relationships, positive social/emotional development in young children and continues to work to make positive changes in the lives of children every day.